Floyd Mayweather vs Conor McGregor official as a boxing match and is now a reality after months and months of speculation. 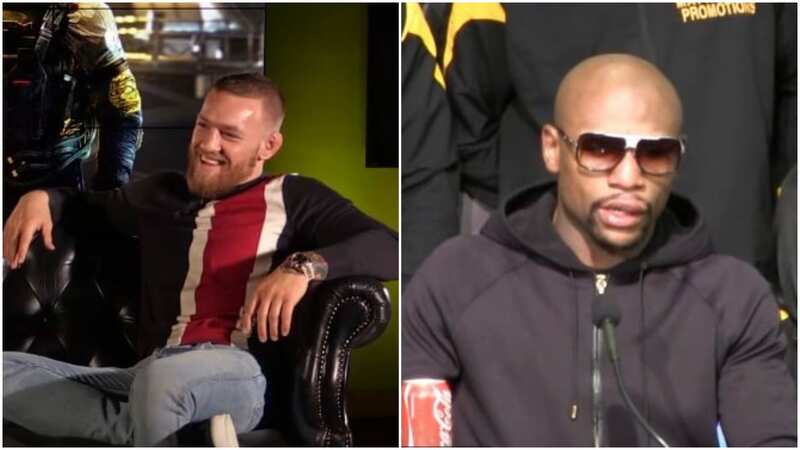 The much rumored and heavily anticipated matchup between boxing great Floyd Mayweather Jr. and Mixed martial arts UFC superstar Conor Mcgregor is officially on as Mayweather on his Twitter account confirmed the bout taking place on August 26th. The bout did not have any specifics just yet. Mayweather, 40, did not even confirm the venue as earlier in the week the MGM Grand Garden Arena, host to many Mayweather fights in the past, had a reservation for the above date. Mayweather (49-0 26 KO) has been long speculated to come out of retirement yet again against the Irish UFC phenom Mcgregor (21-3 MMA record) with hearsay going back more than a year. Similar to the Mayweather-Pacquaio matchup, there were several teases, confirmations, and also denials by both sides in terms of the negotiations. Also Mayweather Promotions have not mentioned if any other of the popular fighters in the company, such as light heavyweight contender Badou Jack or junior lightweight champion Gervonta Davis would be fighting on the undercard of the monumental event. What is known is that the fight will be shown on Showtime PPV. Also the date is wondered by many to be in direct competition with the other superfight between Mexican superstar Saul “Canelo” Alvarez and middleweight destroyer Gennady “GGG” Golovkin taking place at the T-Mobile Arena in Las Vegas on September 16th. The date is Mexico’s Independence day weekend and one of the biggest boxing days of the calendar year. It also happens to be a date Floyd Mayweather traditionally would fight. With no titles on the line, both fighters stand to earn record shattering amounts of money and Mayweather attempts to reach the perfect 50-0 record in boxing, tied with heavyweight boxing champion Rocky Marciano. Mayweather earned nearly a quarter of a billion dollars for the fight with Filipino champion Manny Pacquaio. Many have also talked about the pay-per-view record set by Mayweather vs. Pacquaio, standing at 4.6 million buys to be broken or at least seriously challenged by this enormously popular bout. The Nevada State Athletic Commission has reportedly approved the required license for the matchup, largely criticized by many as a blatant money grab by those involved and also a mis-match. A plurality in the boxing world have already stated that it would be nearly impossible for McGregor to be competitive with Mayweather, widely viewed as one of the greatest boxers of all time. The contracts are signed, the staredowns and weigh-ins will be next. The fight is on.